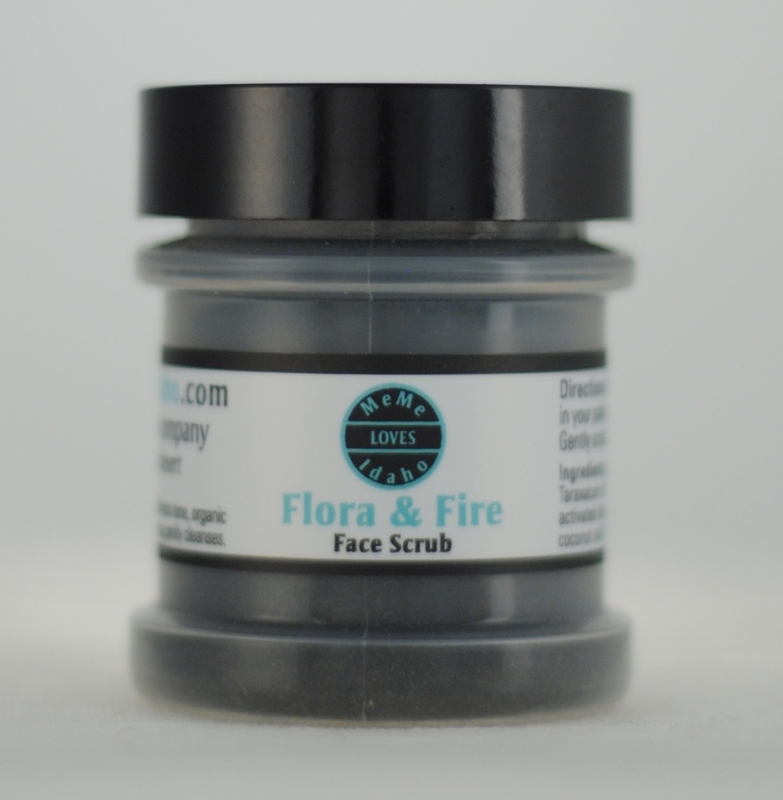 Flora & Fire Face Scrub grows in the forests of Idaho: stimulating wild catnip, soothing marshmallow root and toning dandelion leaves are harvested May-October, dried and powdered. This powder is blended with organic jasmine rice to exfoliate, activated charcoal to purify and organic olive oil & coconut oil soap to cleanse. Flora & Fire gently exfoliates and cleanses without leaving your skin feeling tight, dry, or oily. Suitable for all skin types. 1 oz shaker jar. Vegan. Gluten, paraben, and essential oil free.